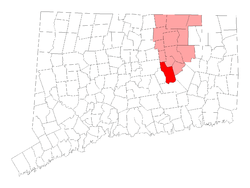 Located roughly 20 minutes south-west of our North Windham office is the city of Hebron, Connecticut. Dentistry for kids is the norm at CT Pediatric Dentistry, where our dentists specialize only in treating patients who are children. 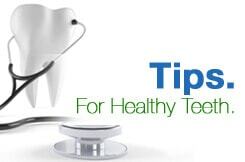 They specialize in treating young people by using kid-friendly methods and techniques that enable the child to be more receptive to the importance of a visit to the dentist. Visiting the dentist can understandably bring on anxiety for a child, which is why we aim to minimize the child's fear and strife in regards to a dentist visit. Our pediatric dentists provide an easy-going and comfortable environment for children, so they can enjoy the benefits of proper dental care and learn about good oral hygiene from a young age. We offer restorative procedures like crowns and fillings and make cosmetic procedures available as well. Our experienced team of doctors, dental hygienists and assistants will help your child feel at ease when they visit us at our North Windham location, only 15 miles from Hebron, CT. If your child requires dental emergency care such as broken teeth, knocked out teeth, an acute toothache, or a displaced tooth, we encourage you to call our after-hours emergency hotline at 860-523-4213. One of our specialized pediatric dentists is always on-call in the event your child requires immediate dental care. For non-emergencies, however, please call our North Windham office at 860-456-0506 to speak with a friendly member of our team about scheduling an appointment. We specialize in prevention and education among young people, speaking at local schools on the subject, and offer restoration and extraction services when needed. Our pediatric team also provides appropriate cosmetic services when desired, able to consult a teen on teeth whitening or bond a broken tooth. Make the trip from Hebron, CT to our North Windham dental office to take advantage of our kid-friendly practice and help ensure the long-term oral health of your child. We pride ourselves on striving to exceed your expectations of pediatric dental care and we are passionate about the process of helping young ones maintain healthy smiles throughout childhood and adolescence. Make an appointment with CT Pediatric Dentistry at one of our three conveniently located facilities so that your child will genuinely enjoy his or her next visit to the dentist.